Last edited by yokohamaboi; 06-14-2013 at 03:38 PM. Thank you! And no prob i support the rx8 drift community. Just think prople who drift should post up there set ups.And help each other out. 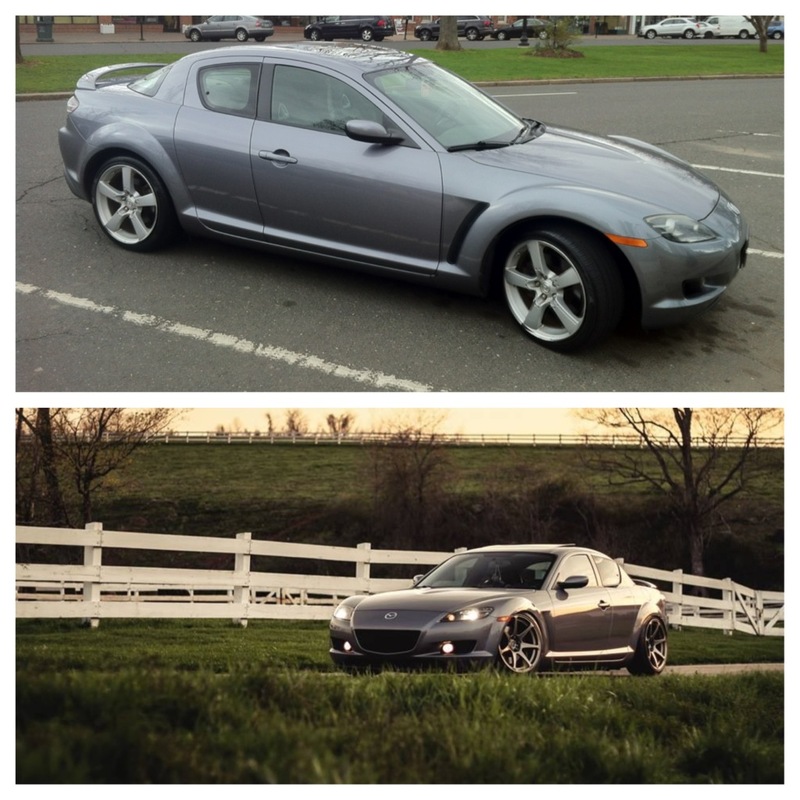 The rx8 isnt the easiest car to kick out sideways. well i have some friends with na fc' s drifting really good. They run small tire widths and keep the revs. my goal is to drift two events here on east coast. I'm thinkin of running 215/40s all around with some negative camber all around. I wish coilovers weren't so pricey for the 8, I've purchased race set ups for other cars used $400 . Well I'm starting a good job in July so hopefully all the good stuff will follow. What size wheels are you gonna run? Look into some auto exe tie rods! Yeah i know ima buy some autoexe tie rods from Nengun.com and i run 18x9.5 all around 225/40 up front and 235/40 in the rear at the moment. If you cant afford coilovers. Try getting lowering springs and sway bars. My buddy has been running that on his is300 and no body roll. And it kicks out sweet! I bet its alot easier on thinner tires. Im still able to break loose on 265/35/18. yeah thts my idea when i try it ill let u know how it works for me. Another Mod you should conciser is a bucket seat if you haven't done it already. It's Much easier to drift when you're not death griping the steering wheel. +1 hey how does that 1.5way lock up? Aggressive on the street? Loud? Is the fuel pump kicking on? Is it flooded? Might of flood on your atempt to start it on the first time. Check your coil packs and spark plug wires. Worst come to worst fuel pump or coils. Buy a spark tester. It depends on how serious you are about drifting but, the car is much easier to get sideways with the car stripped. Especially with light weight buckets. I love battles I want a set for my Drift 8. How well do they fit? What size offset you have? If ya want I have a full Greddy turbo kit + extras up for grabs may fit the FC, used, still in good condition though. If ya want it 2.5K she's yours.